How can I get PagedGeometry grass to receive shadows? Transparent/cut-out shadows are implemented in PagedGeometry demos but I can't find any solution on how to properly cast shadows on grass like the example above. What technique can I use to accomplish this? This is not my answer, but a reference to what I believe is the solution to the question. The post I am linking to below (titled "paged geometry trees and shadows") directly describes solving the problem of putting tree shadows on grass with paged geometry. It specifically involves calling m_sceneMgr->setShadowTechnique(SHADOWTYPE_TEXTURE_ADDITIVE) with a custom shader for the shadows. This tutorial also references paged geometry, trees, grass, and shadows. 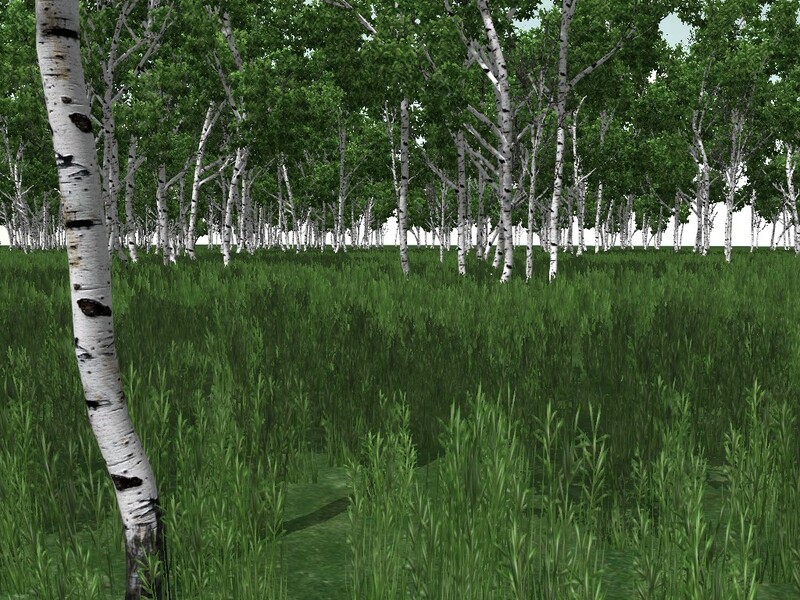 It applies a lightmap to the grass, use the setColorMap() function. https://ogrecave.github.io/ogre-pagedgeometry/tut3.html or Archive.org version. It specifically aplplies a lightmap to grass, use the setColorMap() function. Not the answer you're looking for? Browse other questions tagged shadows ogre billboarding or ask your own question. Any dirty/cheap, lightweight 3d engine, beginner friendly out there? How to receive shadows on animated object In optimize way? A shader that casts shadows, doesn't receive shadows and doesn't render any textures/models at all?